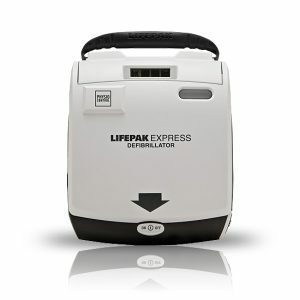 The LIFEPAK CR Plus AED is easy for you to manage. The battery charger and electrodes have a synchronized replacement cycle that makes your maintenance program efficient and affordable. 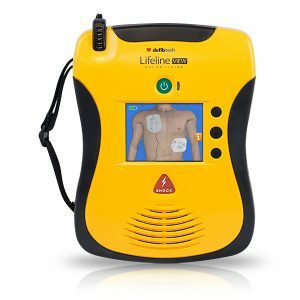 Of course, you hope the LIFEPAK CR Plus AED will never be needed in a lifesaving situation, but when it is, you can be confident that your staff is as ready as the AED. AED users should be trained in CPR and use of the AED. We offer a variety of training options to continually educate your response team, from onsite instruction and a LIFEPAK CR Plus AED training unit to online AED/CPR refresher training, videos, and quick reference cards. An AED for all of us. Chances are you’re not an EMS technician. Not a surgeon or a lifeguard or a firefighter. Yet, with the right resources at hand, each of us has the power to save a human life— the life of a friend, colleague, student, or a passerby with sudden cardiac arrest. Although not everyone can be saved, studies show that early defibrillation can dramatically improve survival rates. Simple, effective, and at the ready, the LIFEPAK CR Plus AED provides that critical resource and the guidance to use it whenever necessary. It’s there for you and for them. A joule (J) is a unit of energy used as the measurement of shock strength provided by an AED. 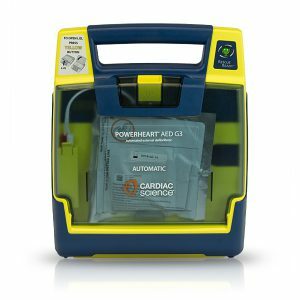 An initial shock from the LIFEPAK CR Plus AED is delivered at 200 joules (200J), which has been shown to be effective at defibrillating the heart of a majority of sudden cardiac arrest victims. However, some patients are more difficult to defibrillate than others, and an ineffective shock can leave them in VF longer and increase costly interruptions in CPR. 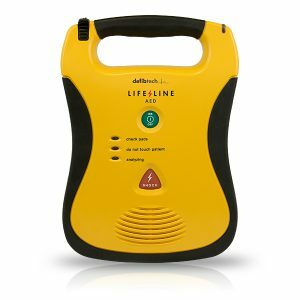 Physio-Control only offers AEDs with a full range of energy, with default escalating settings of 200J, 300J, and 360J. A recent study has shown a statistically significant benefit for higher escalating shocks compared to fixed lower-energy shocks in patients with VF who required more than one defibrillation shock.3 In addition, the American Heart Association has provided guidance on the importance of coordinating good CPR with defibrillation to minimize interruptions in chest compressions. Simply put, we believe the capacity for 360 joules gives patients a better opportunity for a better outcome.